no need to re-administer a dose to those children who received vaccine from these lots. Do you know how to protect yourself and your family from the H1N1 virus (referred to as the swine flu)? The H1N1 virus poses a threat to us all. However, women who are pregnant should take extra precautions to fight H1N1. The Centers for Disease Control (CDC) recommends that all pregnant women get vaccinated as soon as possible. While the H1N1 spray is available, the CDC says pregnant women should opt for the flu shot. Pregnant women can get the seasonal and H1N1 flu vaccine at the same time. The CDC says it is also safe for women to receive the vaccines at any point in their pregnancy; first, second or third trimester. Widespread flu activity has been reported in 27 states. 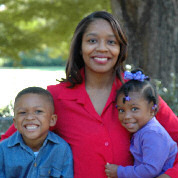 People younger than 29 and pregnant women are at highest risk. According to the CDC, pregnant women are disproportionately impacted by the flu. They are more likely to be hospitalized and more likely to die than the general population. Doctors believe pregnant women are more at risk because of a change in their respiratory system. As the uterus grows it impacts the lungs. There is also a change in the immune system which makes pregnant women more vulnerable to the virus. Wash your hands with warm water and soap for 20 seconds, especially after you cough or sneeze. Use alcohol-based gel hand sanitizers when you are not able to wash your hands. Cover your mouth and nose with a tissue when you cough and sneeze or sneeze into your upper sleeve if you do not have a tissue. Make sure you throw the tissue in the trash after you use it. Avoid touching your eyes, nose or mouth as germs can spread this way. Whenever you can, avoid close contact with people who are sick. If you are sick stay at home for at least 24 hours after your fever is gone, unless you are seeking medical attention or an emergency. If you are pregnant and have been around someone who has H1N1 flu, contact your healthcare provider. The best way to prevent the H1N1 flu and the common flu is to get both of the flu shots. It is important for everyone in your home to get vaccinated for the seasonal flu and H1N1 flu. I am curious. How will I know if I have H1N1? The symptoms of H1N1 are very much like those of the common flu and some other common wintertime illnesses. 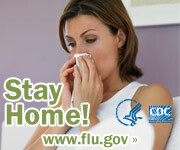 If you do develop flu-like symptoms, stay at home and call your doctor as soon as possible. Your doctor will let you know what tests or treatment will be needed. If others in your community have H1N1 flu, pay extra attention to how you are feeling. If you are exposed to someone who has H1N1 flu or the common flu, contact your doctor to discuss whether you need treatment to lower your risk of getting the flu. Should I continue to breastfeed my baby if I am sick with H1N1 flu? Yes, continue to breastfeed your baby if you are sick. A mother’s milk is made to fight diseases in her baby. Babies who drink breast milk do not get as sick from the flu as babies who are not breastfed. Wear a mask to keep from spreading the virus to your baby. Pump and have someone give the expressed milk to your baby if you are too sick to breastfeed. Be careful not to cough or sneeze in the baby’s face and remember to wash your hands with soap and warm water often. Due to early availability and high demand of seasonal flu vaccine, limited amounts of seasonal supply were reported earlier this fall, but in recent weeks North Carolina health care providers have received enough vacccine to allow them to distribute it to anyone, not just people who are at high risk for flu complications. Those most at risk are health care workers, children and young adults ages 6 months to 24 years, pregnant women and people caring for an infant younger than 6 months. The U.S. Food and Drug Administration (FDA) has approved the use of one dose of 2009 H1N1 flu vaccine for persons 10 years of age and older. The FDA has approved two doses for children 6 months through 9 years of age. Where do I get a H1N1 flu shot? The government will distribute the vaccine through state health departments, which will send it to local health departments and doctors’ offices. Check with your family doctor or healthcare provider about availability. For more information about flu, visit: www.flu.gov or www.flu.nc.gov or call the N.C. CARE-LINE, 7 am - 11 pm, seven days a week including holidays. 1-800-662-7030 (English/ Spanish); 1-877-452-2514 (TTY).